lovely card! I loooove butterflies ! Beautiful colors and beautifully done! Such a beautiful card Sylvie. I love the pretty image, gorgeous papers and fabulous layout too. Beautiful card. I love the colours and the image and butterfly. Simply gorgeous! This is gorgeous Sylvie. I love the image and the papers are beautiful. This is such a pretty card! Love your design. So pretty Sylvie - not surprised you sold it. Love the LOTV papers. Gorgeous card Sylvie, I like the image, the papers and the punched border. 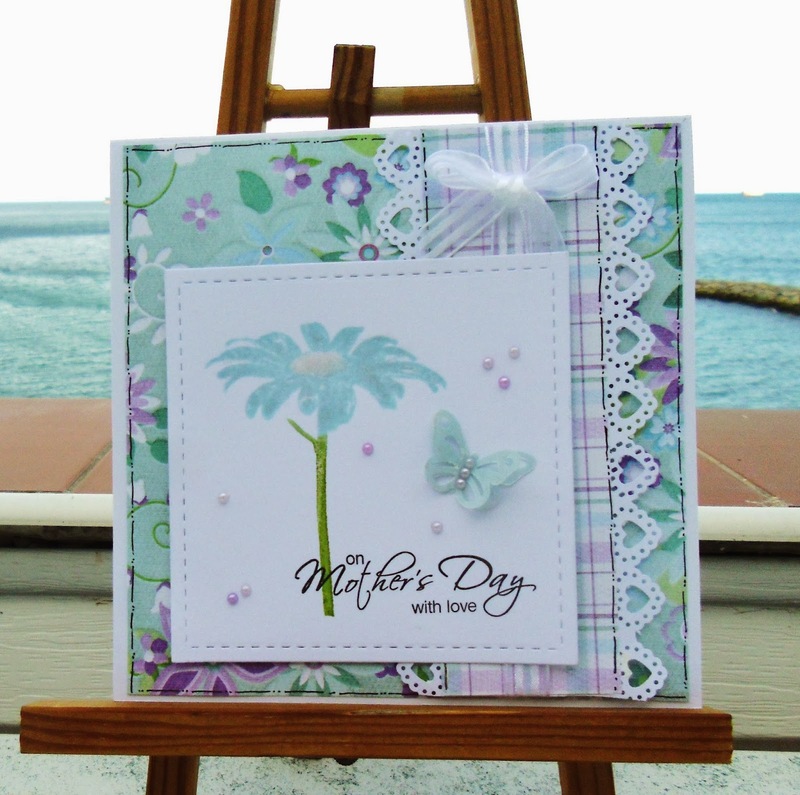 A gorgeous sweet and fresh card for Mother's Day, no wonder it sold quickly. So sweet! I love this blue flower!